Emigdio loved to cook and make his own salsa. 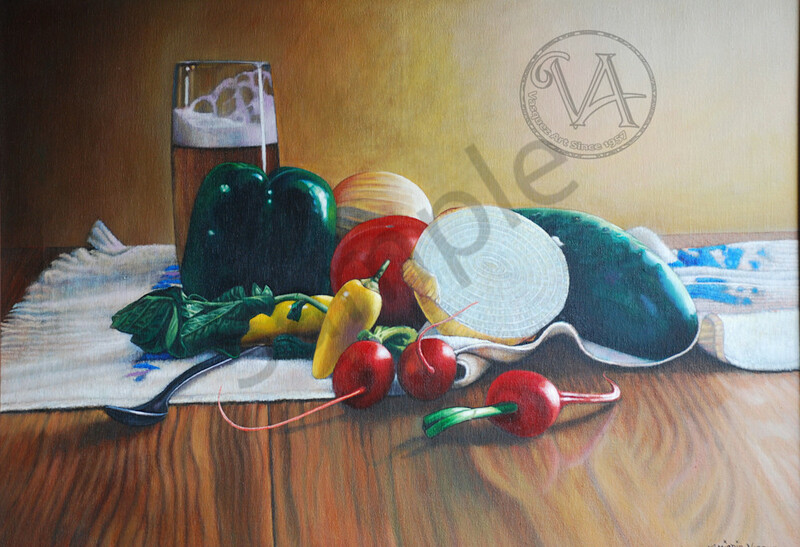 After a trip to his favorite Mexican Market, he laid out vegetables on his table next to a glass of beer. And, note the beautiful colors. The nature of Emigdio made this subject matter a natural to become a still life. This Limited Edition Giclee is 20 x 28, its original size. There are only 120 high quality canvas prints available including a Certificate of Authenticity. The price is exclusive of any tax, shipping, or frame.